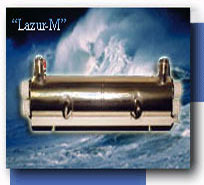 LAZUR water treatment systems are widely used in Eastern Europe and many other countries. In the last three years the production has increased three fold. Around 7000 systems of different sizes have been supplied and are working satisfactorily. In Russia the company has supplied around 1000 systems for city utilities, manufacturing industries, sports complexes and private houses. A cumulative volume of 1 000 000 cubic meters per hour of water is being treated and purified using this patented technology. Purification of drinking water from lakes, dams, river etc has undergone strict certification procedures and tests in Russia, South Africa, New Zealand, Israel, Singapore Korea and other countries. We have started the testing and certification process for LAZUR technology in Dubai. SVAROG and Magnetic Technologies Limited from United Arab Emirates have established water treatment and water purification stations in Dubai. The water is used for gardens and landscaping in Dubai. South Africa: In the City of Cape Town and in Pretoria, “Lazur” units are operating in the fruit processing industry and in the private houses, respectively; the equipment has been supplied according to the agreement with SIG Technologies and Rand Water Company. In the years between 1996 and 2010 we supplied and commissioned 57 systems of different capacities ranging from 3 to 50 cubic meters per hour, a total volume of 34 000 cubic meters per day. New Zealand: In the city of Dunedin, “Lazur” units are employed in the fish processing industry and in private houses (in accord with the agreement with SIG Technologies Co.). In the years between 1995 and 2010 we supplied and commissioned 80 systems of different capacities ranging from 0.5 to 50 cubic meters per hour, a total volume of 90 000 cubic meters per day. Israel: In the city of Haifa, water purification stations were put into operation (through a memorandum of understanding with Kal Binyan Tarmac Ltd. Company). In the years between 2002 and 2010 we supplied and commissioned several systems of different capacities ranging from 3 to 10 cubic meters per hour. South Korea: In the city of Inchon, water treatment systems based on “Lazur” units are operating for disinfection of the industrial wastewater (cooperation under the memorandum of understanding with Sun Kwang Ltd. Company, Seoul). In the years between 2002 and 2003 we supplied and commissioned 12 systems of different capacities ranging from 10 to 50 cubic meters per hour, a total volume of 6 000 cubic meters per day. Kazaksthan: A series of our stations for industrial wastewater treatment are operating in the capital city of Asthana (cooperation in frameworks of the memorandum of understanding with the company Darbodgeo). In 2003 – 2010 we supplied and commissioned 160 systems of different capacities of up to 50 cubic meters per hour, a total volume of 250 000 cubic meters per day. Belorussia: In the city of Grodno, a series of water purification and disinfection systems are operating to satisfy the municipal economy city requirements (cooperation in frameworks of the memorandum of understanding with Fortex Ltd. Company.) In the years 2000 – 2010 we supplied and commissioned 200 systems of different capacities ranging from 5 to 250 cubic meters per hour, a total volume of 90 000 cubic meters per day. Ukraine: In 2010, JSC “SVAROG” supplied 42 units each of 50 cubic meter capacity for the needs of water supply in industry and municipal economy in Dnepropetrovsk (our Ukranian partner in Dnepropetrovsk is AO Frent). Latvia: In frameworks of the memorandum of understanding with the Progress Ltd. Company, we have supplied in 1998 – 2010 water treatment equipment for the for the brewery and private houses in the capital city of Riga; on the whole, we supplied and commissioned 70 systems of different capacities ranging from 0.5 to 10 cubic meters per hour, a total volume of 5000 cubic meters per day. Russia: JSC “SVAROG” closely cooperates with more than 250 companies of the Russian Federation in supply, mounting, and maintenance of various SVAROG's units and stations for a variety of water treatment tasks. For the period of 1994 – 2010, we installed and put into operation over 14 000 systems of different capacities ranging from 0.5 to 1000 cubic meters per hour, a total volume of 20 000 000 cubic meters per day. All systems and equipment supplied are functioning well to date. The technical maintenance requirements are provided by SVAROG to ensure ongoing peak performance of systems.